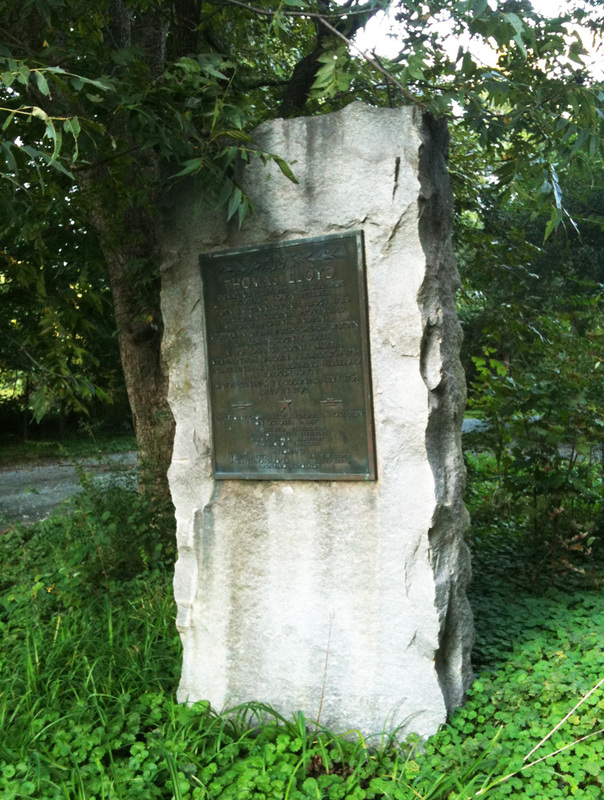 Source: Thomas Lloyd Monument, Chapel Hill. Photo courtesy of Olivia S. Stoneman. This marker consists of a bronze plaque placed in a roughly-cut rectangular granite slab. The stone is approximately six feet tall. Thomas Lloyd played a role in Orange County politics starting in the 1750s, as his business dealings had brought him to North Carolina by way of Virginia. He was born to a Welsh immigrant family. The monument inscription may contain inaccuracies because it includes information about Colonel Thomas Lloyd of New Hanover County, a contemporary of the Orange County Thomas Lloyd. 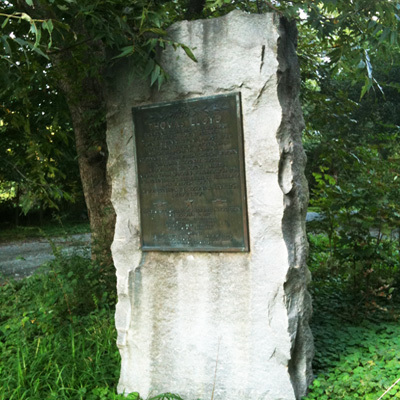 The monument stands about 50 feet east of Old Highway 86 at Stony Hill Road, just northwest of the Calvander intersection.